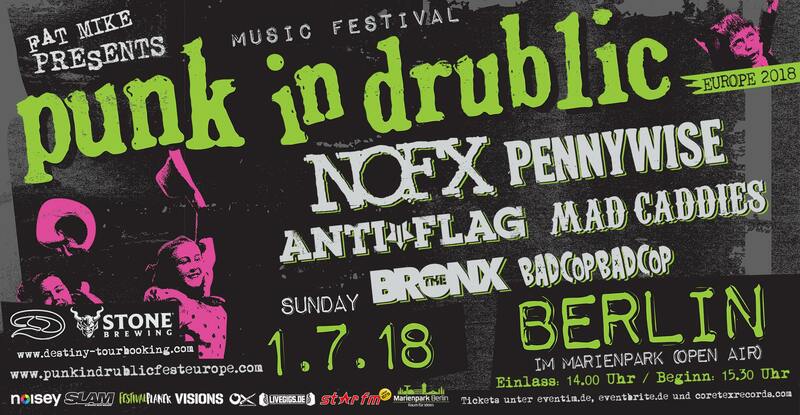 On the 1st of July at Marienpark Berlin some of the finest punk bands will gather to blow everything out of the water – at the Punk in Drublic Fest Berlin. Doors open at 2:30pm and you’ll get tickets here: Eventim: https://bit.ly/2KcYqXR Eventbrite: https://bit.ly/2Hm2CCP Coretex: https://bit.ly/2vJicHw. Or you can try your luck, go old-school and get a ticket at the door.